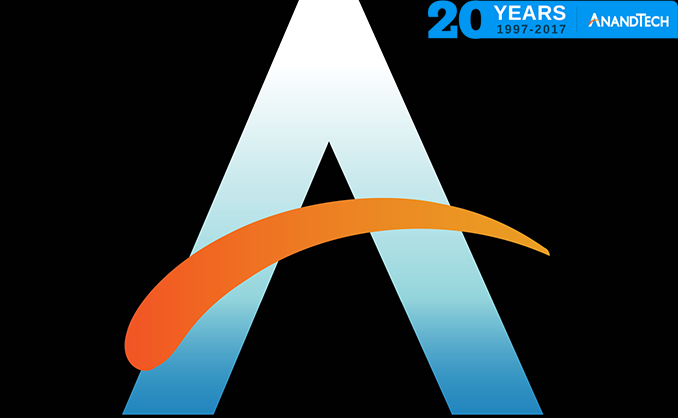 This morning we’re celebrating a rather special occasion over here at AnandTech: our 20th anniversary. Though in a lot of ways it seems like the years have gone by in a flash, the calendar doesn’t lie: it means we’ve now been doing this for two decades, starting from a quaint CPU review in 1997 and branching out to oh so much more by 2017. I’ve admittedly never been one for public sentimentality, but as the second Editor-in-chief of AnandTech and a reader for most of its history, it’s a milestone that makes me very proud. When Anand created the site in 1997 it may have just been a hobby, but by taking it seriously and defining a core set of principles that we still work by today, AnandTech has grown to leave its mark on technology journalism and the products around it, and I intend to continue leaving our mark and helping to shape the technology ecosystem in our own nerdy way. For the start of AnandTech’s 21st year in the technology news business, I’d like to commemorate the occasion with a look back at what we’ve done, a brief look forward at where we’re going next, and finally, thank the many readers and groups out there who have made it possible. The latter point is especially important to me; while a commemoration is all about the entity or event being remembered, none of this would be possible without everyone who has supported us over the years. So in a way, I consider this an event for you guys as well as it is for us, because you have absolutely had a part in shaping how we go about writing articles and how we interact with hardware vendors. For that reason, I’m also happy to announce that we’re launching our largest hardware giveaway ever. Over the next 20 days we’ll be giving away piles of hardware as a thank you to our readers who have made this all possible. Even that, I feel, isn’t a big enough thank you for what you guys mean to us. But it’s a start, and it means we can do something fun for you guys on our anniversary. But first, let’s do a little commemorating. 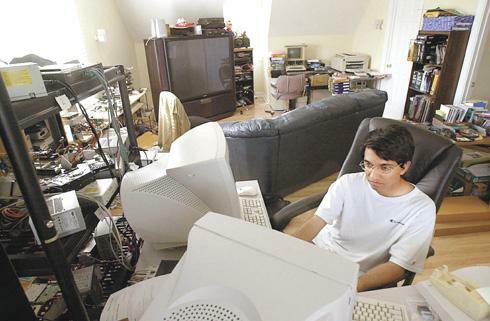 AnandTech was founded in 1997 by a then 14 year old Anand Shimpi during his freshman year of high school. At the time the Web was still relatively young, and Anand’s Hardware Tech Page as it was then named didn’t even have its own domain name. Instead, like many other hobby websites, it was hosted on the now long-defunct GeoCities. In true AnandTech tradition right from the start, the first AnandTech article was the AMD K6 Review. That review is admittedly a mess by modern standards – none of us came into tech writing knowing a fraction of what we do now – but it marked the start of something greater. It reflected Anand’s desire to learn more and to share what he learned with the world, a core mantra that has driven AnandTech all of these years, and still drives us today. In the intervening 20 years, far too much has happened to even begin to recap it all. AnandTech became a business, and a successful business at that. The Web transformed how technology journalism worked; no longer were articles bound to the rules of print, a month out of date and limited in length to what would fit. Instead articles could go as deep as they needed, and be posted to the wider world as soon as they were ready. Tech news became rapid-fire, and, outside of dedicated technology journals, writers could do more than ever before. A lot of other organizations had the same idea and covered the PC hardware space as well. Some of those sites are still with us today; many more are not. Between the Dot-com bubble popping and the Great Recession, conditions have winnowed the number of tech sites significantly. AnandTech’s surviving and thriving these events is a combination of hard work and careful planning, to do what needed to be done to survive. But more than that, it’s thanks to you, the readers, who have supported us over all of these years and continue to support us today. Meanwhile the technology landscape has changed dramatically over the last 20 years. 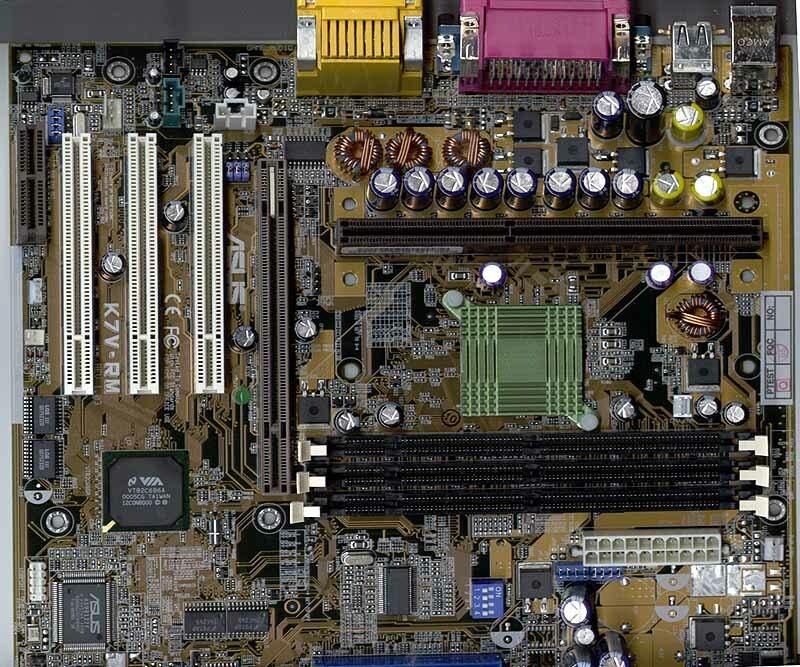 The PC market was once the growth market for hardware, and over the years we’ve reaped the benefits of improved engineering, improved manufacturing, and improved economy of scale. The $1000 PC I bought in 1997 was, even by the standards of the time, a piece of junk, pairing a Pentium MMX 200 with what ended up being a rather dodgy Socket 7 motherboard. Now one can buy a half-decent laptop for a fraction of the price, and the inflation-adjusted $1500 will buy you an awesome computer, likely with money to spare. The PC industry is still alive and well these days – and we continue to labor hard to cover it – but it’s now a stable, mature industry that doesn’t move at the pace it once did. A number of hardware companies have folded or been acquired in the intervening years. 3dfx, Cyrix, Abit, BFG. Others have continued to burn brightly the whole time – Intel is still as powerful as they ever have been – and others still have skirted with death only to stage a dramatic comeback. We’ve watched AMD rise, fall, and then Ryzen (again), as the perpetual plucky underdog has always kept the rest of the PC industry off-balance. The story for the second decade of AnandTech’s existence has been the mobile industry, which for most of that decade has burnt with same fire that forged AnandTech in the beginning. The rapid evolution of smartphones and tablets is nothing short of remarkable, and it has forever changed the face of computing, even for us PC enthusiasts. 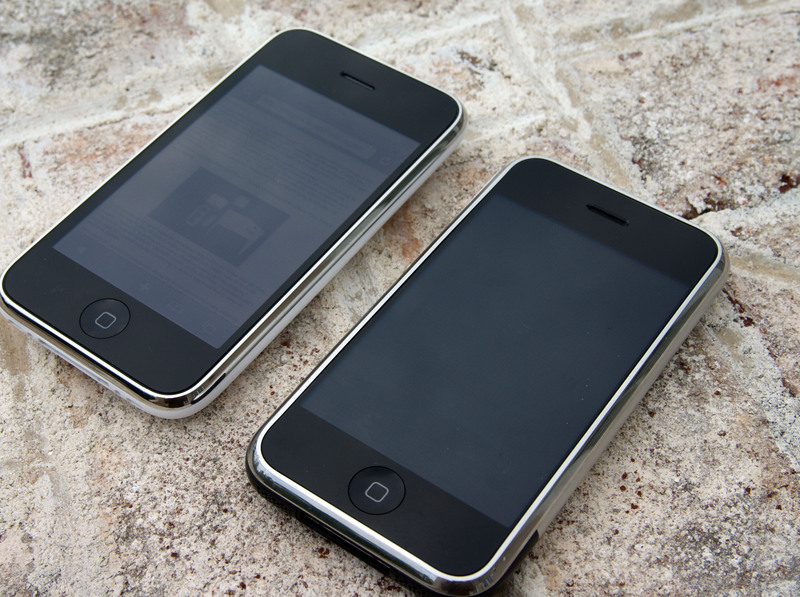 Mobile devices are a product of the extreme integration we’ve seen over the years, and I would be lying if I said the lack of end-user customization didn’t bother me on some level, but at the same time they’ve expanded our horizons as tech writers and significantly changed how we look at the development of new technology. 1997 was also the year of Microsoft’s famous $150 million investment into Apple, which perpetuated their rise to becoming the most valuable company in the world. The company, whose computers were based around the odd-man-out PowerPC architecture at the time, switched over to x86 in 2005 and has made a significant mark on laptop design, all the while pioneering the modern smartphone and tablet. Now the technology industry is at a new set of crossroads. Like the PC market before it, the mobile market is maturing and reaching saturation. Meanwhile Moore’s Law, while still alive, is definitely reaching its end-game for traditional silicon. The technology industry has always been remarkable for its continued and sustained growth, and while I’m optimistic that it will continue, no one knows quite what that future will look like. What I do know is that no matter what, AnandTech will be there to cover it, with the depth our readers deserve and crave. One of Anand’s criticisms of technology journalism – and what’s now one of our core principles – is avoiding the cable TV-ificaition of the Web: the focus on traffic and business over the needs of the readers, leading to shallow, 10 o’clock news-style technology reporting. I will make no effort to hide or downplay the fact that AnandTech is part of a larger business (Purch), but my vision for the site and the focus of the editors of AnandTech remains unchanged. As much as we can, we have to do right by you, the reader, by continuing to learn more about technology and sharing what we learn with you in a deep-but-accessible manner. While I don’t have any grand plans to announce, over the coming months you’ll be seeing some new faces around AnandTech as we continue to expand and diversify. I am happy with our depth but I feel like we aren’t doing enough in total; we need more reviews, more news, and more articles discussing how things work and how the future will be shaped. So that is my goal for the mid-term, to bring you guys more of what you come to AnandTech for. We also have some other plans on the drawing board. The site is due for an overhaul, and Ian Cutress might kill me if I don’t let him improve Bench even more. HTTPS is also everywhere, and real soon now we will be enabling it across the site. I don’t have anything specific to announce here, but we aren’t standing by idly. If nothing else, a more regular podcast would be fun to do. Making it to 20 years could not have happened without the help of many people over the years, some who are quite public and others who like to blend in and do what they do in quiet. The biggest thank you goes of course to Anand. While he’s off doing goodness-knows-what at Apple (I don’t know guys, seriously! ), the site he founded and the principles he laid out has enabled us to do everything we’ve done for the past 20 years. It’s allowed us to focus on quality and depth, and perhaps more simply than that, make a living out of learning. But the second biggest thank you goes to the many writers AnandTech has had over the years, Anand’s early collaborators and later hires alike. It’s only by having writers specialize in their fields and become masters that we’ve been able to dive as deep as we have, and while many of those writers have moved on to other jobs, they’ve left their mark on AnandTech. Over the years AnandTech’s writers have endured a number of sleepless nights, working holidays, canceled social engagements, and uncomfortable flights, all in the name of bringing more information to you. Their efforts are what have allowed AnandTech to thrive over the years. A thank you also goes to the hardware vendors out there, many of whom have been putting up with us for the last 20 years. We’ve killed hardware, we’ve asked uncomfortable questions, and we’ve pushed vendors to reveal more than they’d necessarily like to share. Practically speaking, hardware vendors could lock us out, but I think that we’ve found a much better path in working together. The amount of access we get to engineers to ask questions and bring these stories to life has only happened because hardware vendors see the value in the AnandTech mission. And that has been to the benefit of everyone. 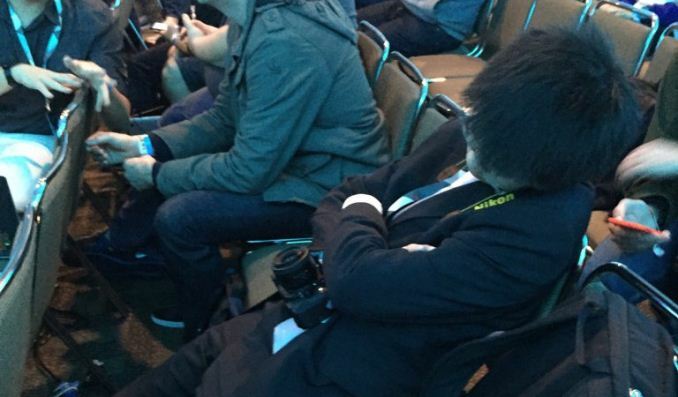 AnandTech’s publisher, Purch, also deserves a thank you. And I know what you’re thinking here, but Purch has genuinely earned this. Purch has taken a largely hands-off approach and allowed AnandTech to continue to do what we need to do, even if it doesn’t necessarily make business sense at the time. As a result we’ve continued to be able to innovate and stumble at our own pace, operating with the agility that’s required to remain at the cutting edge of technology. Finally, none of this would be possible without you, the readers. You’re our support, the reason we suffer through sleepless nights to get a 20 page article up for a 9am Eastern embargo. You’re our critics, letting us know when we’ve let you down or could do better. You’re our customers, helping to pay the bills over the years accepting our advertising and buying products through our affiliates. But most of all you’re our peers, the people we strive to share our knowledge with so that all of us can know a little more and be a little smarter. Thank you to everyone for the last 20 years, and here’s to what I hope to be the next 20 years. I started reading Anandtech back in 2000 when I was starting to build my first PC for college video editing. Between Anandtech and Tom's Hardware I built a great little rig far cheaper than what my college suggested for an editing build. Sadly Tom's is no longer relivant and has not aged well, but Anandtech is still a fantastic site that I check almost every day! First AT review I ever read was for the GeForce 256 DDR. I think I had a Fury Pro at the time and was debating between the Fury Maxx and the GeForce 256 DDR. I ended up buying a 64MB version and loved it. UT99 forever!! !